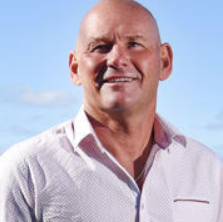 Scotty Schindler is a business and sports leader proudly from Sawtell, NSW, Australia. As the startup founder of ReNet, he is recognised as a leading Aussie business identity, and keen surfer who has won multiple Surfing Titles. An overview of Scott’s life shows an enviable ability to achieve success in anything he pursues. Scott always welcomes professional enquiries and can be contacted anytime.